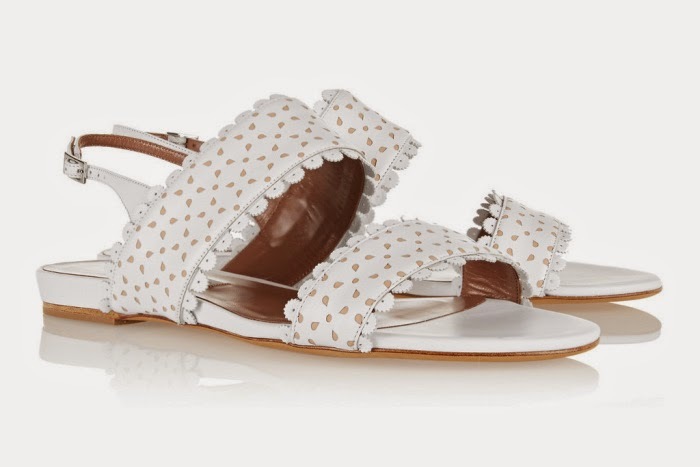 Miu Miu metallic leather and embellished sandals, $860. 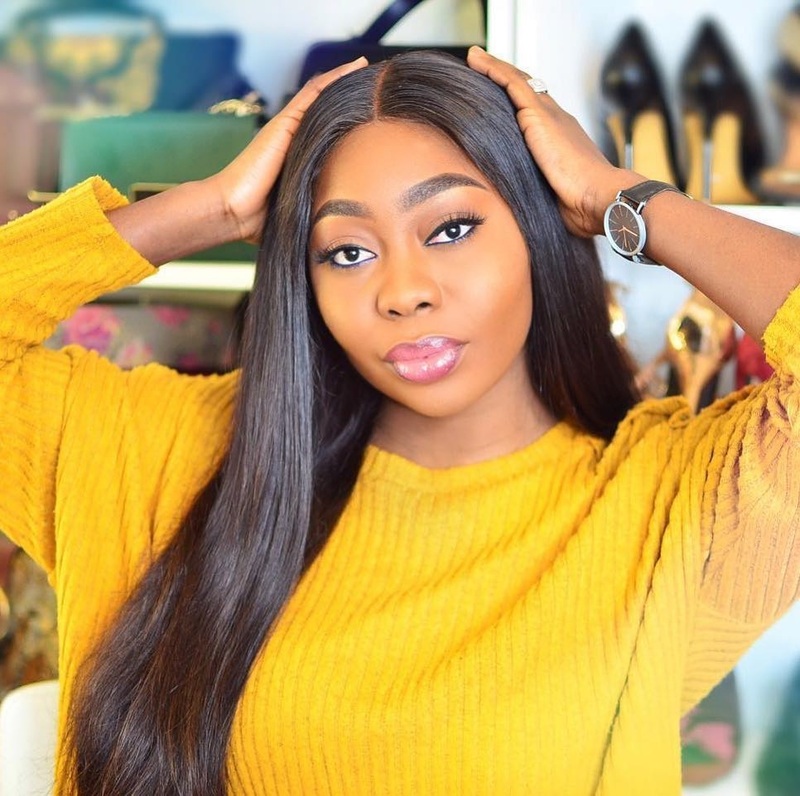 You don’t have to go sky-high for your wedding, and by sky high i mean them 6 inches shoes,..
Not only are some of you simply more comfortable in lower styles, but certain wedding venues, and seasons, lend themselves more to a chic flat sandal. We’re talking summer beach weddings and spring garden weddings. In venues like this, your stylist will give you the option for flats. 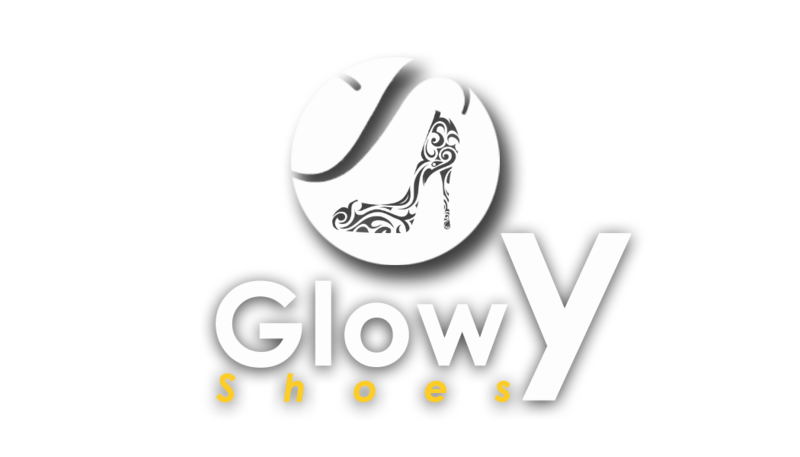 Flat shoes can also give the heels a run for their money. You can also check out my previous post on The benefit of flat wedding shoes. One thing’s certain – compromising on height does not equal compromising on style. 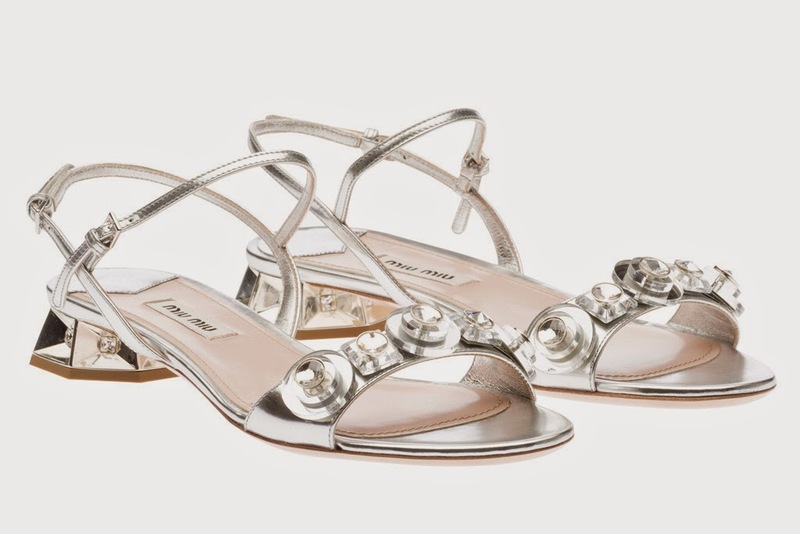 keep looking at more wedding shoe inspiration after the cut..
Nicholas Kirkwood white, bow-embellished sandals, $880. Tabitha Simons Loopsey perforated leather sandals, $695. 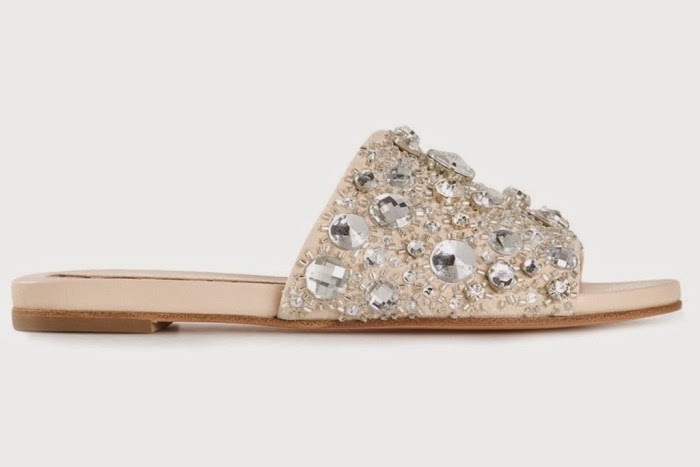 Rochas rhinestone embellished slippers, $1,150. Roger Vivier Pilgrim Jour flat slides, € 450. 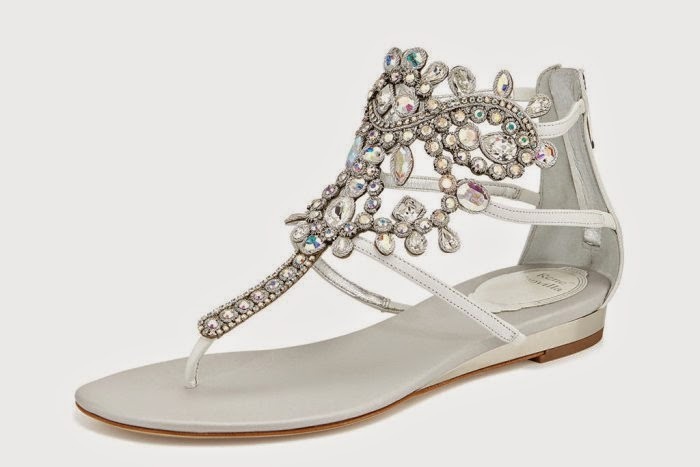 René Caovilla crystal chandelier thong sandals, $1,285.